We travelled in the South Pacific for 6 weeks. We flew from Vancouver to start our trip in Sydney before travelling around Australia. Then we went to Bali, Singapore and Thailand. We headed back to Bangkok for our flight home to Vancouver. 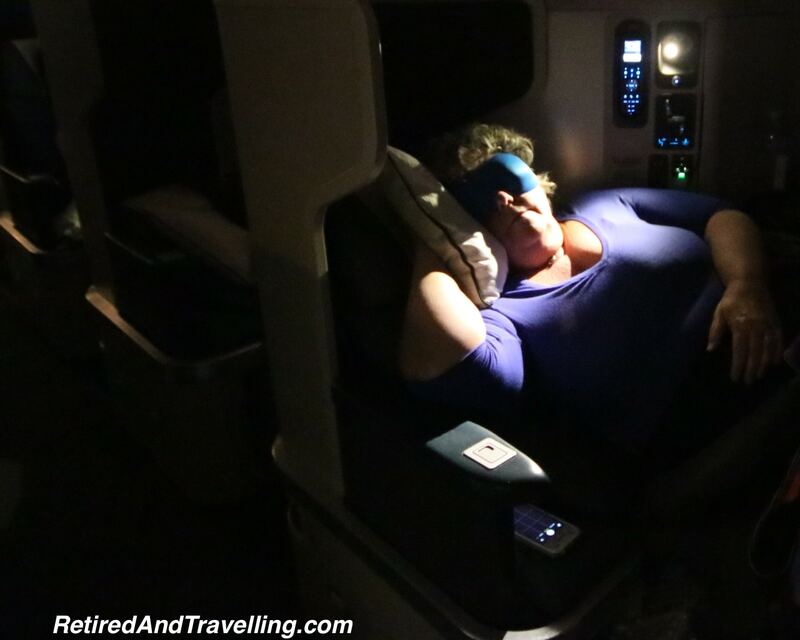 The long haul flights are close to 24 hours in each direction and we splurged on Cathay Pacific Business Class tickets for the these flights. We had no points to get a flight upgrade so we paid full fare for our tickets. Treating ourselves like this is one of the reasons we are still “semi” retired. Working when we are not travelling lets us earn the money for occasional travel treats like Business Class airfare! 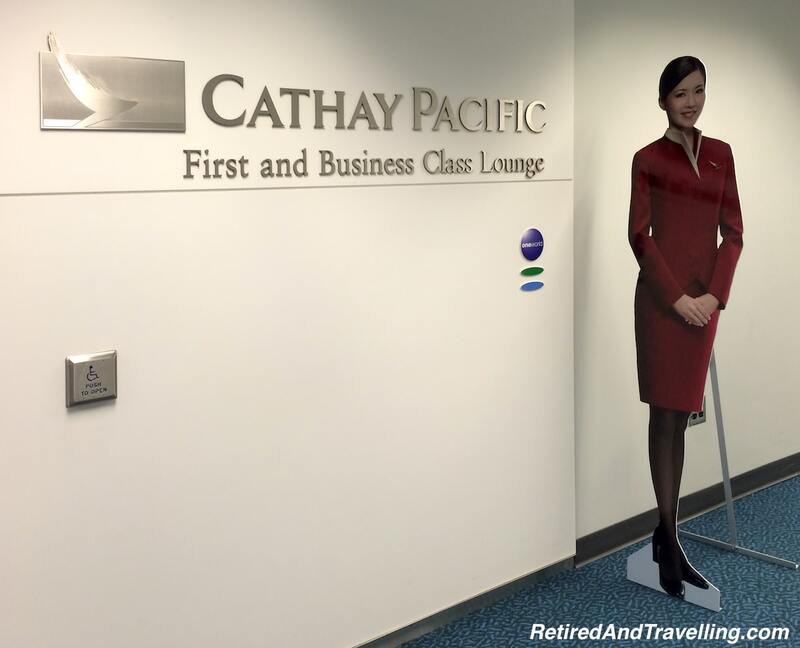 This review of Cathay Pacific Business is based on travelling on 4 segments – two long haul and two shorter haul. It is by no means an exhaustive review but we do travel a lot. In 2015 we were travelled 33 weeks. I have seen what it takes to demonstrate customer service excellence! Some parts of our Cathay Pacific Business Class experience were as good as or better than others we have experienced. Some minor issues dulled our view of this as truly exceptional. Having heard good things about Cathay Pacific, I was really excited to be trying out the Cathay Pacific Business Class service. We booked our flights more than a month in advance and got our e-tickets by email. We were a bit concerned when we never got check-in emails from Cathay Pacific for any flight. I was worried that despite a confirmed e-ticket, maybe something had gone horribly wrong in our booking. Maybe this is standard practice on business class flights? Or a downside of not booking with a travel agent? Logging onto the Cathay Pacific site through our rewards number showed that we were indeed booked and we were able to check-in online. Things went fast and smoothly when we arrived at the airport. One of the big advantages of Business Class travel is the higher baggage limits, even if this does not help with my attempts to pack less and less. The bags are tagged as “priority baggage” which should ensure that they come to the baggage carousel first. But if you have a connection, there is a good chance that your bags no longer get loaded as “priority” on the second plane. Not only did we wait for bags longer than expected, we also had major bag damage. I sometimes wonder if “priority” bags are just more of a target! Checking in advance, we learned that the Vancouver Cathay Pacific Business Class lounge was only open for a few hours before our flight departed. We were glad we had been in Vancouver and not arriving on a very early plane direct from Toronto. The lounge in Bangkok opened at 4am, well before we needed to be at the airport. I suspect that the lounges in Hong Kong run almost 24 hours a day! Arriving at the Vancouver airport, we had no problem finding and getting checked in at the Business Class. With our lounge ticket in hand we headed through security and upstairs to the lounge. 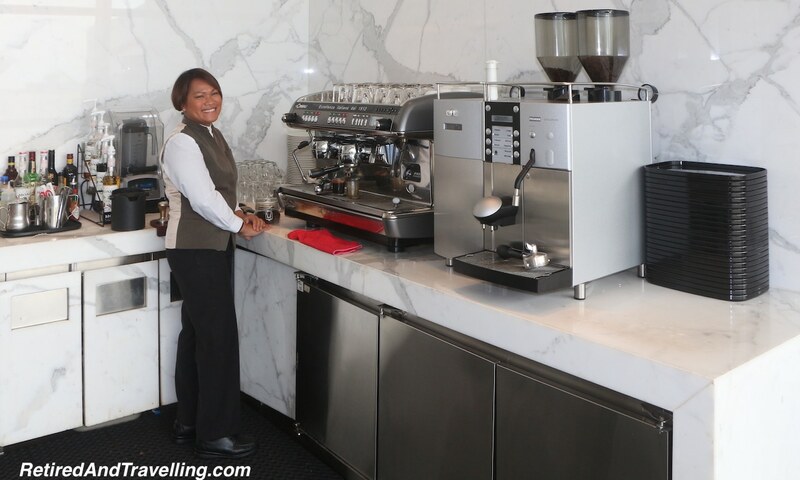 Our first experience with a Cathay Pacific Business Class lounge provided us with a bright and sunny Business Class lounge, separated by a wall and a door from the First Class lounge. 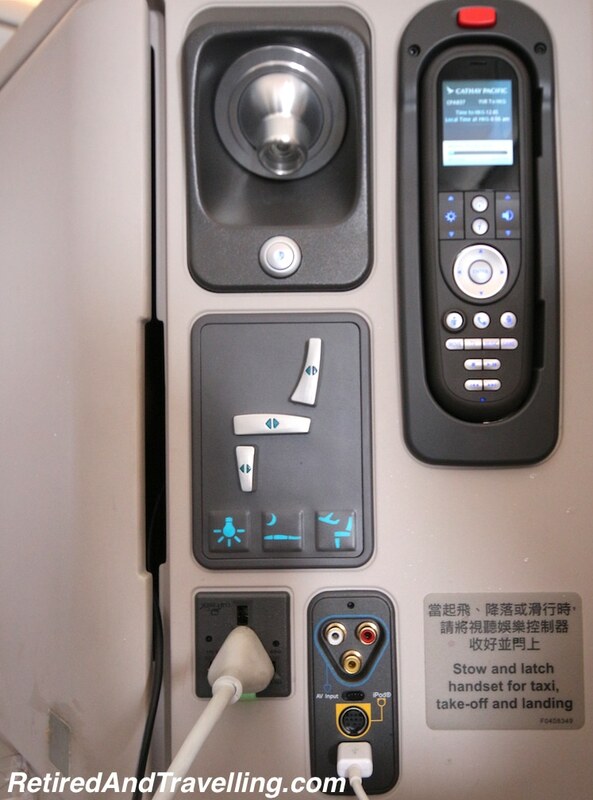 This would be the first sign of how firm the barrier is between First and Business Class for Cathay Pacific. 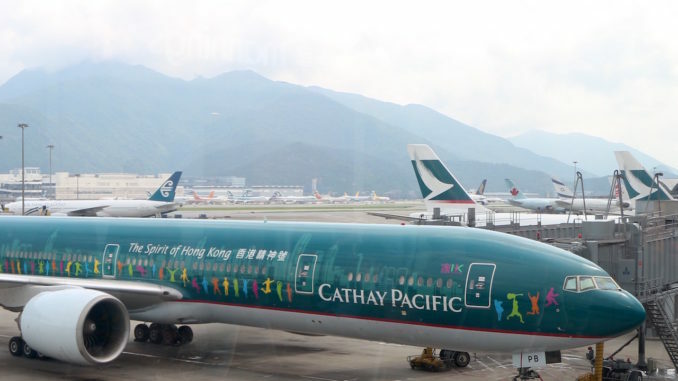 Finding the Cathay Pacific Business Class lounges on our transit through Hong Kong was harder. We did not find them well signed throughout the airport. Download the PDF and carry it with you to help. If you are flying Business Class and the lounge beside your gate is a First Class Lounge – don’t try to get in, even if you are having an emergency. While I understand the “rules”, organizations with great customer service give front line staff some discretion to deal with customer problems. We were turned away from the First Class Lounge when I just needed 5 minutes to make an emergency call mere minutes before we needed to board our flight. I was not at all impressed. Due to a very late flight and a tight connection, we never did get inside a lounge in Hong Kong on our outbound flight. I had to sit down in the hallway to make my emergency call before running for the flight. I was even less impressed when the formal response to my written complaint merely said “those are the rules”. A perfect opportunity for customer recovery and thus loyalty had been missed. The lounge at the Suvarnabhumi Airport (BKK) in Bangkok was so far from our gate and so poorly signed that we spent more time searching for the lounge than we did relaxing before our flight. We understand that a new lounge is coming but if that lounge was just a First Class lounge, it may not help everyone. When you check-in for your flight, you are given an “invitation” which you present when you arrive at the lounge. 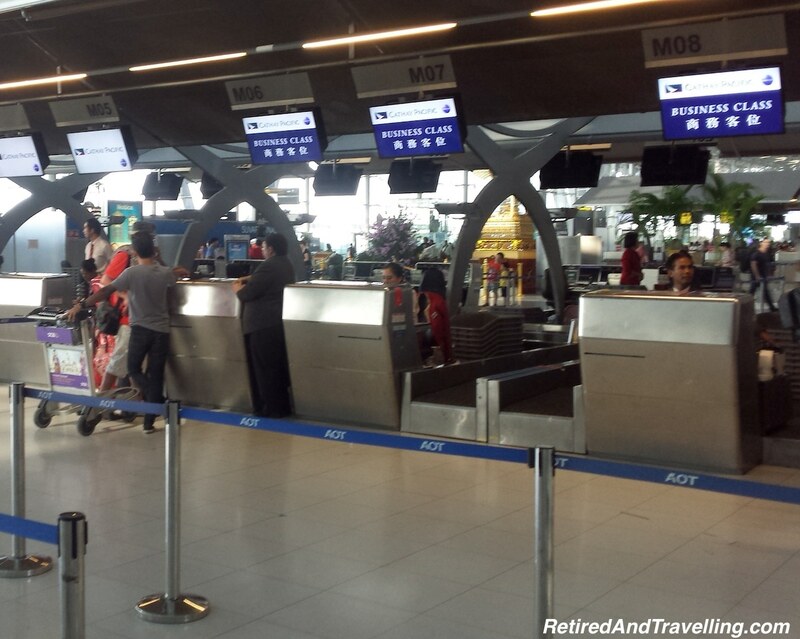 While the check-in desk knows who is in the lounge and the flights departing, only in Hong Kong did we hear any kind of announcement suggesting that passengers make their way to the gate. Good thing we stayed alert and watched the clock. And when it was a good 10-15 minute walk to get to our gate, nobody seemed to think that we should be advised. The lounges had lots of electrical plugs. We were able to find a comfy chair and do some last minute blogging, chats and picture editing before our flights. In Vancouver, I was quite disappointed to find that wifi access was through the YVR Airport wifi. The wifi service was sometimes slow, sometimes flakey and required me to re-connect repeatedly. If there was wifi in the Vancouver lounge, it was not well advertised. In Bangkok and in Hong Kong they did have dedicated Cathay Pacific wifi. 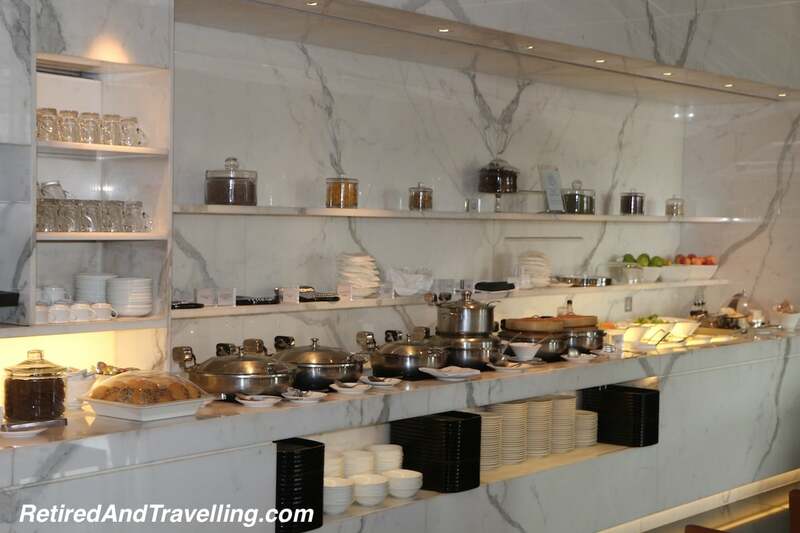 In all of the lounges we visited, there was generally both Asian and Western food options. This included hot food, some fruit and veggie plates and pastries. David was happy to always be able to find chocolate to soothe him. 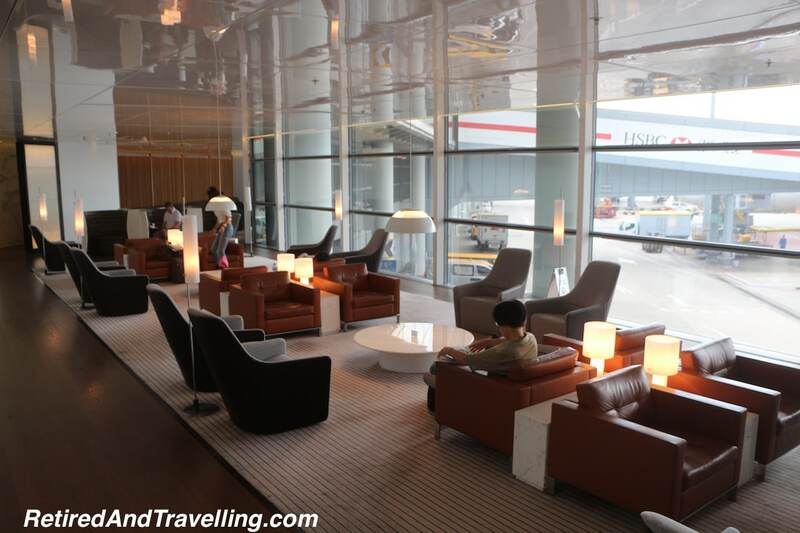 The two lounges that we visited in Hong Kong varied in what was offered but the selection seemed much broader. The alcohol selection varied by lounge but in all you could at least get a simple selection of local beer and wine. We are a bit of coffee snobs. We were delighted to get great properly pulled espresso’s in Hong Kong. The cappuccino machine made a passable decaf latte in Vancouver but the coffee in Bangkok was not drinkable. All of the lounges seemed big enough to handle the traffic at the times we visited. All offered a mix of comfy seating and business workstations. In Hong Kong, a few of the lounges even offered shower facilities. We always managed to find a spot to settle in and relax. Our plane leaving Vancouver was delayed coming in from Hong Kong. The pilot’s first announcement suggested he would try to make up some of the 45 minute delay. We had a somewhat tight connection in Hong Kong so we were hoping we did get some time back. The rest of the flights did much better at on-time departure. Our long haul flight home was slowed down by weather, losing the early arrival that the pilot had first forecast. We were really impressed with the detail and frequency of the announcements made by the pilots. Much better than the gate and direction information that was almost non-existent when we landed and needed to make connections! We settled in to our Business Class pods, snapped our pics and figured out how all the buttons worked. We had fresh flowers and a big tv screen. We found the entertainment system to provide a great selection and liked the ability to create a play list to keep track of all you might want to see on the long flights. There was no wifi on any of the flights we took. Not a big issue for us travelling for vacation but it might be something that business travellers might miss. Finding wifi was always a high priority as soon as we landed since we generally did not travel with local SIMs on this trip. The pod configuration seemed far roomier than the last time we had flown with Air Canada Business Class. Shelves, nooks and pockets for your things were plentiful and easy to access. The electronic controls were all right beside you. The lie-flat bed worked as designed! A small privacy screen might have helped when sleeping. We had a lot to eat on all of the flights – generally when we boarded and again before we landed. The food was good and plentiful. If you wanted a snack during the longer flights between meals, it was easy to find something to nibble on. David found he chocolate gelato while I was catching a few hours of sleep. The amenity kits on the long haul flights were comprehensive – eye shades, grip socks, tooth brushing supplies and a selection of creams and lotions. I would be fully outfitted for the long haul whether I was up, sleeping or getting refreshed. On the incoming short haul flight to Bangkok we got a full amenity kit but on the way back home we did not. The only substitution I made was my own great eye shades (the blue Bucky “40 Blinks” sleep mask) that are the most comfortable and functional I have ever found. The staff ratio was great, although we did find the attention to detail much better on the longer haul flights. If you showed the least sign that you needed something, someone was there to help. Service was always done with a big smile. We felt pampered and relaxed. And isn’t that why you pay the big bucks to splurge on Business Class tickets? I am sometimes a princess when I travel but I am careful where I splurge. There is a “cheap girl” inside of me and when I pay for a little luxury, I have pretty high expectations. Overall, we were glad we had upgraded to Business Class for the long haul portions of our flights. In retrospect, we probably did not need Business Class for the shorter hops between Hong Kong and Bangkok but it was nice to begin and end our journey a little more refreshed. This 6 week trip to SE Asia was a taste test only. The next time we head back we will stay for many months and add many more stops on our itinerary. I would certainly look to do the long haul flights as Business Class. We have flown Business Class with Air Canada, Air France, British Airways and Air Italia. 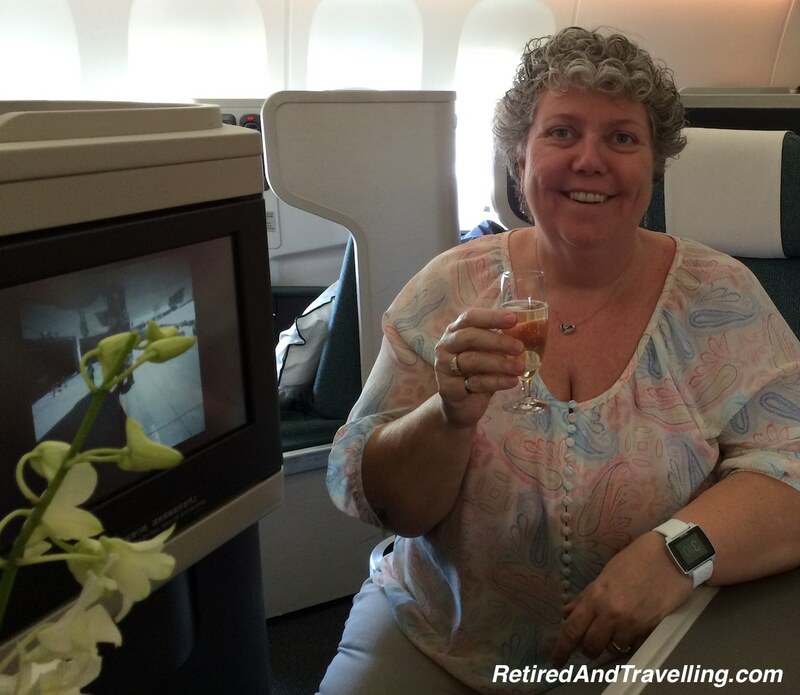 Cathay Pacific Business Class is a good option in SE Asia. We generally found the amenities and customer service on-board the airplanes to be as good or better than other business class flights we have taken. Business Class lounges in SE Asia were very good. 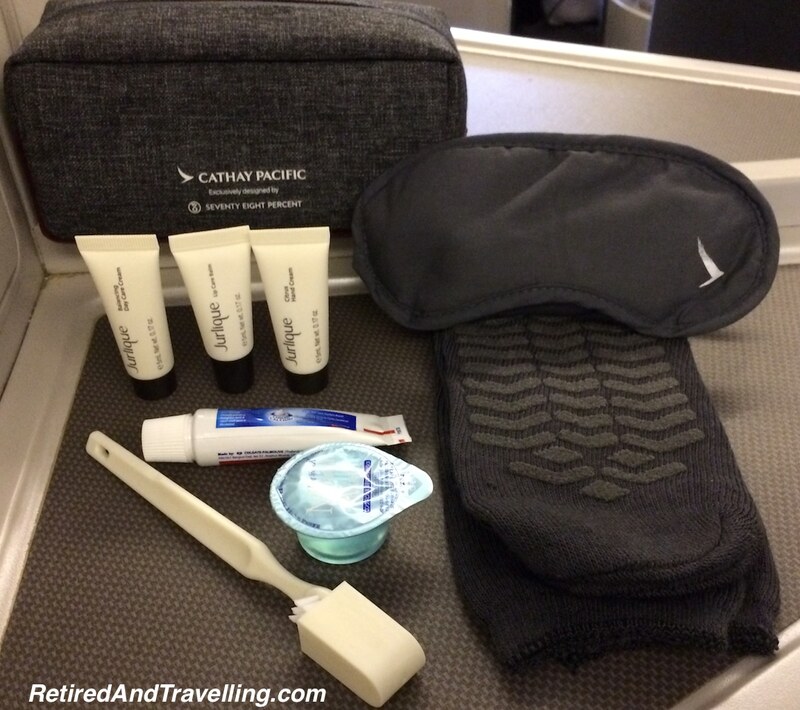 We did however find some minor flaws in customer service with Cathay Pacific Business Class. Business operations and ancillary services seemed to not have the same attention to detail as in-flight services. Customer recovery and dealing with issues could use a little attention! I found it interesting that we were selected to do a long 8 page customer satisfaction survey (me on one flight leg and David on the other). Despite provided feedback on the survey, we have yet to hear back even though we provided contact information. Excellence in customer service needs to be end-to-end to achieve truly exceptional Business Class service. 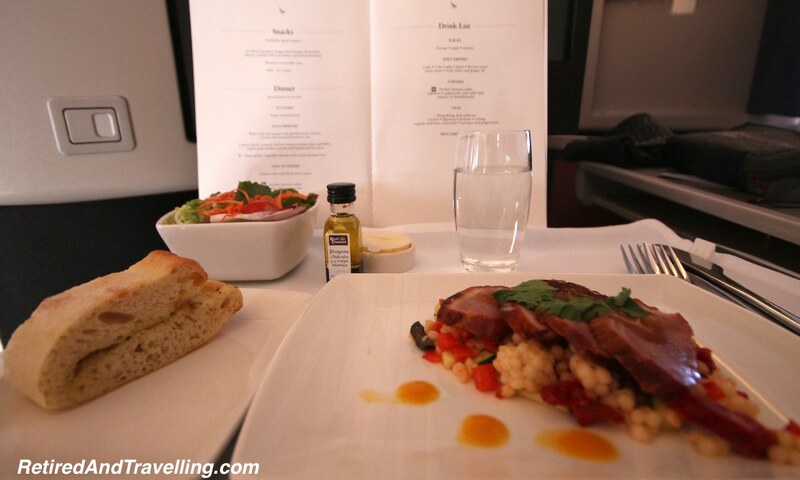 Did you have a different experience on Cathay Pacific Business Class? Do you have a favourite Business Class carrier that delivers a luxury experience? Do I really need to go First Class?